Quiz: Are You Dating a Liar? 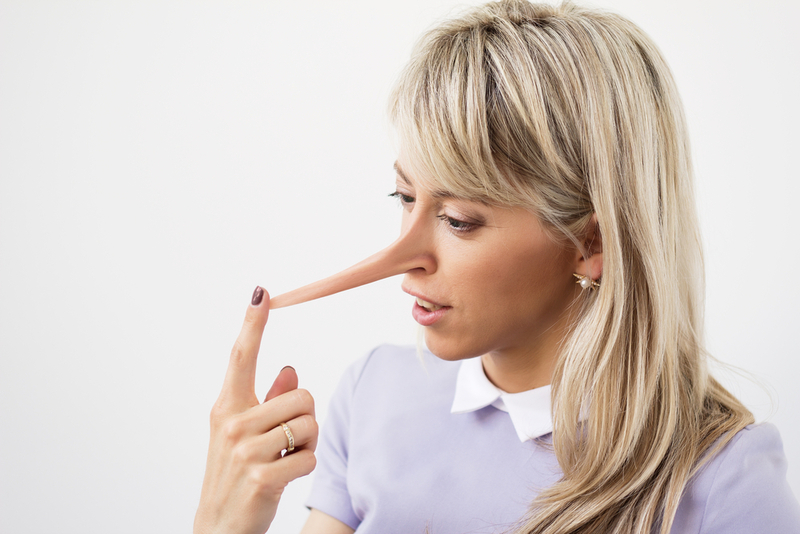 Are You Dating a Liar? Many of us have been lied to by someone we love and trust. Although there are differences in lies—some people exaggerate the truth, other people leave important information out, still other people rationalize or excuse their own misrepresentations—the end result is often broken trust. And trust turns out to be a cornerstone for virtually all our relationships—no matter whether those relationships are with friends, family, parents, children, coworkers, sales people or intimate partners. If you have someone in your life you can't fully trust, or someone whose trustworthiness you're unsure of, take this quiz, courtesy of Dory Hollander in her book: 101 Lies Men Tell Women (Harper Perennial Publishers). Although this was meant for women to evaluate men, it works equally well whether you're evaluating a male or a female. This quiz contains 25 yes/no questions and takes about 5 minutes to complete. Your responses are confidential. Does s/he lie even when there's nothing to gain from the lie? Is lying a natural knee-jerk reaction for him/her? Does his/her self-worth rise and fall based on other people's perceptions of him/her? Have you caught him/her consistently lying over time? Does s/he lie about trivial things? Did you notice that s/he lied about a couple of small things the first several times you met? Does s/he offer enticing promises, but fails to deliver time after time? Has s/he structured time in such a way that s/he isn't accountable to you or to people in authority? Does s/he show a consistent pattern of exaggeration or creative embellishment as if reality is never enough? Does s/he fictionalize accounts of events even when you were present and know it didn't happen that way? Does s/he have ready answers that are used to get him/her off the hook or excuse him/her? Does s/he fabricate tall tales about his/her past, occupation or finances? Does s/he make a point of guarding his/her privacy, keeping secrets and giving you very little information—or giving you information only on a need-to-know basis? Does s/he show an insatiable need for approval and praise? Does s/he brag about his/her material possessions well beyond their actual worth? Does s/he offer fantastic excuses for even small infractions? Does s/he show little empathy or remorse of past or current victims of his/her lies or schemes? Does s/he keep various parts of his/her life partitioned off, so you don't see his/her friends, coworkers or family? Does s/he feign major illness or frequent disease in order to be taken care of or to get sympathy? Does s/he habitually treat rules as if they apply to other people but not to him/her? Does s/he have one specialty that s/he lies frequently about, like money, other men/women, the price of his/her clothing, how s/he spends his/her time, or his/her business dealings? Does s/he have a history of antisocial behavior that includes two or more of the following: cheating on exams, taxes or applications; violating professional ethics; repeated pattern of traffic violations or trouble with the law; shady business deals? Does s/he come from a family where lying, cheating or breaking the rules was the accepted norm? Does s/he have a history of alcoholism, drug addiction, sexual addiction or workaholism? Does everything in his/her world have to be perfect?